Sometimes I wonder how certain people can manage to always seem organized even though chaos is screaming around them. In work environment it is extremely appreciated to manage complexity as nowadays almost nothing is absolutely predictable. After talking to people and after thinking about if there is some recipe for dealing well enough in all kinds of difficult situations, I ran into one blog post that inspired me to take a look at somebody’s internal happiness before making conclusions about special abilities that person may seem to have. 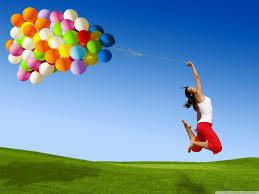 Is happiness in private life necessary in order to reach happiness in everyday professional life? If I would have a chance and time to interview a few people, I could guess that some of them would say it is not needed. Anyhow, from my previous job experiences where I had a chance to deal with many different people, I can dare to say that there is a strong connection. Our own habits, our friends and the amount of positivity that surrounds us affect our behaviors in work environment. Even though we all are individuals and there is no need to generalize to make conclusions, I will share my perspective of which simple things we all can do in order to stay positive in all situations and, finally, to be friends with ourselves. Peace in mind, peace in life. We are social animals and no matter to which extent we are individualistic, we need to socialize in order to be able to function. 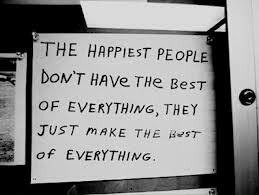 Nevertheless, happy people are first of all happy with themselves. They don’t depend on confirmations of the others in order to feel appreciated and better. Talking about what somebody has done and being mad at others because they don’t fit in our local mind environment means losing precious time without any concrete purpose. Our brain is not using its logic, in fact it is almost turned off when we repeat the stories about what somebody has said or done. Instead of that, we should try discussing more about different and new ideas. Making plans for our future, daydreaming, sharing wishes that may never come true can make us richer persons. Apart from that, we will use our brain effectively in order to find the best solutions and try to do new things. When we realize that something is wrong, we tend to focus too much on the reasons that caused the problem and we may forget about trying to provide the solution. At the end of the day, we get stuck in the problem characteristics and we don’t have the will to solve the problem so we leave it for tomorrow, for Sunday or for forever. There is the difference between daily simple things and bigger problems that need time and patience. If we manage to see the difference, we will realize that smaller problems so simple that they don’t require much time. Solution oriented mind may be useful in detecting and solving this type pf problems. Detect, think about alternatives and finally, react and sleep well. Some dreams will never come true and that is fine. Nevermind, dare to dream big. It is beautiful to have dreams that help us going forward and that make it easier to wake up in the morning because we have the thought: ”Today I will do one more step towards IT”. Anyhow, some dreams may be too big for one lifetime or some dreams may be absolutely unrealistic because after all, we live in reality and we depend on many different things. Nevertheless, dreaming about things that we would like to achieve may bring us to even better places for us. If setting high standards can motivate us, we should never stop dreaming big. It will create positive atmosphere in our minds and we will create positive environment around us. Being organized is great. Being spontaneous is fine as well. Waking up at the same time every morning can create positive habit. The way we start a day can affect our productivity. Being on time for business meetings is appreciated, but it can also make us feel better and satisfied with ourselves. Organization in everyday life can help is in achieving all the goals that we have in our calendar. On the other side, leaving some space for spontaneous behavior can be useful for avoiding routine than can make us unmotivated. Small things make difference. Balancing between plans and unexpected things in a right way can make our mind more peaceful. Friends from childhood may always stay our friends from childhood. Anyhow, when we are not children anymore, new people come to our lives and new friendships are created. Ability to distinguish which relationships deserve more attention than the others will allow us to put an effort in valuable things. Some people just come and go. A few of them will stay in our lives for a long time. We should make sure that we don’t regret losing people just because we realized things too late. Not only individuals need food in order to survive. Relationships need it as well. To refresh and to feel alive. To communicate can mean to talk to the wall or to talk to yourself. Anyhow, every now and then we communicate to Other People. No matter how much we may think we are trying to deliver a perfectly clear message, other human beings may not understand our main message. Why? As we have our unique or strong personalities, it is almost inevitable that the others will feel more the personality than the message that needs to be delivered. The ideal situation would be if we could adapt enough in order for other person to understand us without losing the positive side of personality as it may make the message stronger and more important. As there are different dynamics in different characters, to interact with each other may be challenging. Those who prefer being silent when they are not sure in their idea or opinion can get annoyed by the others who are impulsive enough to talk whenever something comes to their minds. On the other side, the ‘’loud minds’’ may start feeling that the ‘’silent minds’’ don’t want to share their opinions. If nobody adapts, we will continue having two different worlds. At the end, it does not matter ‘’whose fault it is’’. 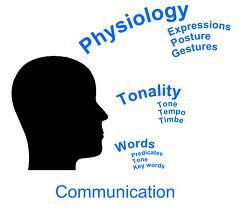 Inability to communicate may result from not being ready to be flexible to find a common language. The short article, from Bloomberg Businessweek, written by Cory Booker reminded me once more that the human nature and the power of ego may make communication and interaction difficult. In the end, it’s not about you; it’s not about getting people to listen to you. That’s just an ego indulgence. As a society, we’ve gotten into this state of what I call sedentary agitation—we’re often upset about what’s going on but not getting up and taking action. The real communicators are the ones who can motivate people to act—and ultimately to lead themselves. We may wish to say that the fact that somebody is a boss means that he has all the leadership skills. Unfortunately this doesn’t need to be the case. Why? Different humans, different personalities. As I have recently read an article on Forbes written by Allan Hall, I would like to share what seemed important to me and what is related to huge differences between the boss and the leader. When working, we may focus a lost on the results for many reasons. Learning, ambition, bonus, career development etc. What we may forget while we are doing all the weekly statistics about the good job that we have done are people skills. After learning and specific skills that we may gain, can somebody teach us about how to deal with people without being fake? If you ask me, leaders have this natural charisma in dealing with humans around them. A boss demands, a leader consults. A boss says: “I need you to get this done now!” In most cases, such a command is probably met with disdain and frustration. When a boss demands results and places stringent expectations upon an employee without asking for perspective, his or her credibility suffers. On the other hand, a thoughtful leader will ask, “Can you, based upon your current workload, focus your time and attention on this important project?” Highly praised leaders recognize that their workers are not slaves but human beings who appreciate an opportunity to express their opinions and feelings in any discussion that might impact their assignments. A boss dictates, a leader empowers. A lame boss proclaims “Do it this way, or else!” A boss who declares “it’s my way or the highway” will be left with a near-empty parking lot; and the few who remain will be running out of gas. A terrible boss will say “This is the way we do things around here”. The clear message to an employee is “don’t think, I will do that for you”. A narrow minded boss limits the creative process and self expression. He, in effect, kills innovation and increased productivity. A genuine leader gives his people authority and responsibility to act and will ask questions. Such an approach demonstrates to employees that they are trusted are talented and possess good judgment. Leaders know when employees are empowered great things happen; productivity soars, motivation is high and retention increases. A boss talks, a leader listens. Bosses like to hear themselves talk. They are wildly impressed with their own knowledge, skills and experience. They have all the answers and every problem solving solution. Being so bright, they have no need to understand what’s on the minds of customers and employees. Since this know it all boss lords over everything, employees soon close their ears and minds to incessant babble. Sadly these self-declared geniuses don’t understand why their departments never receive acclaim and recognition. Effective leaders have huge ears and use to them to carefully listen to the voices of their people. Such leaders spend time getting to know the workforce and encourage one and all to speak from their hearts and minds. An open door policy is their standard. This leader and his team are seen as best in class and constantly in the lime light. In its simplest form, the basis of exceptional leadership is a manager who cares deeply about his or her peers and subordinates and treats them all with kindness, respect and genuine appreciation. 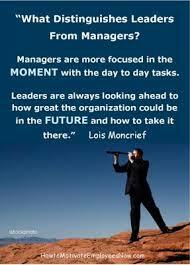 Those managers who follow this approach will always find a loyal, engaged, happy and highly productive workforce.